Think of flamboyance in the animal kingdom, and a colorful menagerie springs to mind: a parrot’s rainbow plumage or the showy scales of a tropical fish. 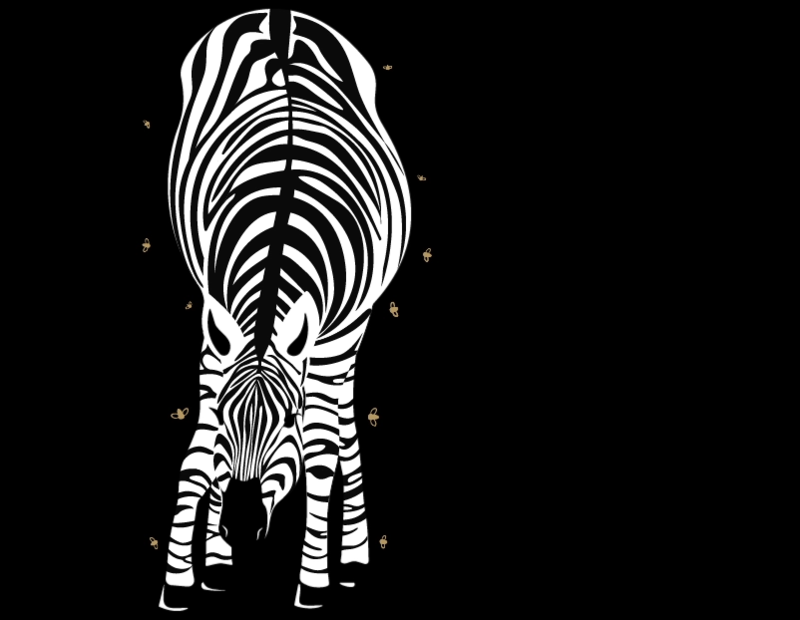 Mammals tend to be less colorful than other animal groups, but some are strikingly attired in black-and-white. What purpose do such high-contrast patterns serve? The color scheme’s utility varies widely depending on the evolutionary pressures these animals face. to conceal within habitat, or to aid in physical regulation. but some are strikingly attired in black-and-white. Zebras’ thin coats make them more vulnerable than long-haired animals to biting flies that carry disease. 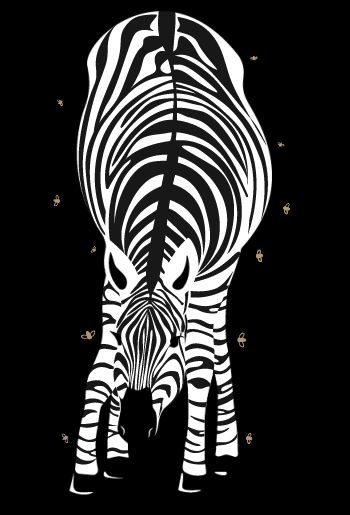 But the coats’ stripes deter flies from landing on zebras, for reasons that scientists are still investigating. Recent insights into panda coloring have come from studying each body part separately. Black ears indicate ferocity, and distinct eye patches aid in individual recognition. 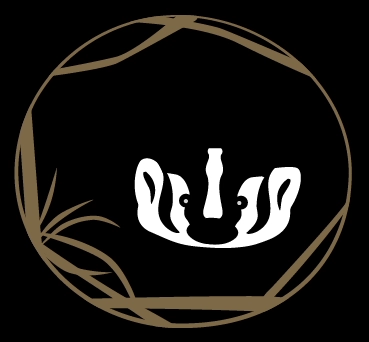 The panda’s white body camouflages it against snow, while its dark limbs help it hide in forests, a compromise derived from its poor bamboo diet. 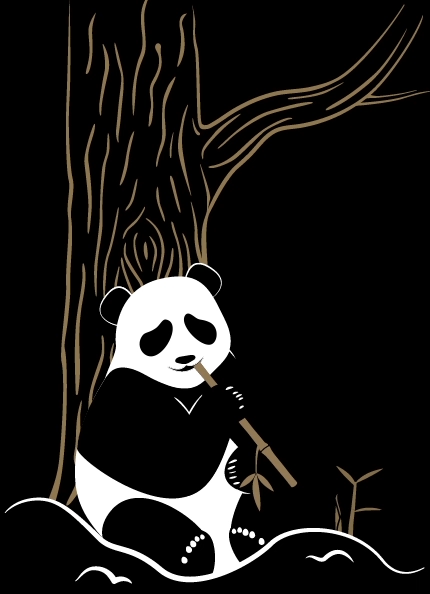 Bamboo doesn’t let pandas build up enough fat to hibernate, forcing them to spend winters in the snow. Even when a badger is crouched in its burrow, its bold facial stripes may be seen. Zoologists say the warning coloration helps the small mammal deter predators. 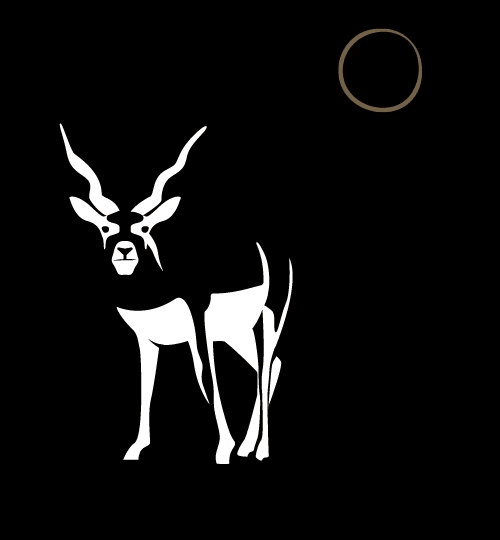 In bright sun the buck’s white stomach counteracts the shadow cast by his back, allowing the animal to appear one color and two-dimensional. 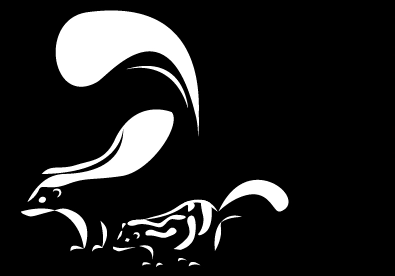 Depending on the species, black skunks may wear white spots that act as camouflage or white stripes that signal enemies to beware their smelly spray.